Step inside the beautifully updated lobby of Oceans West and you will get a taste of why owners love it here! 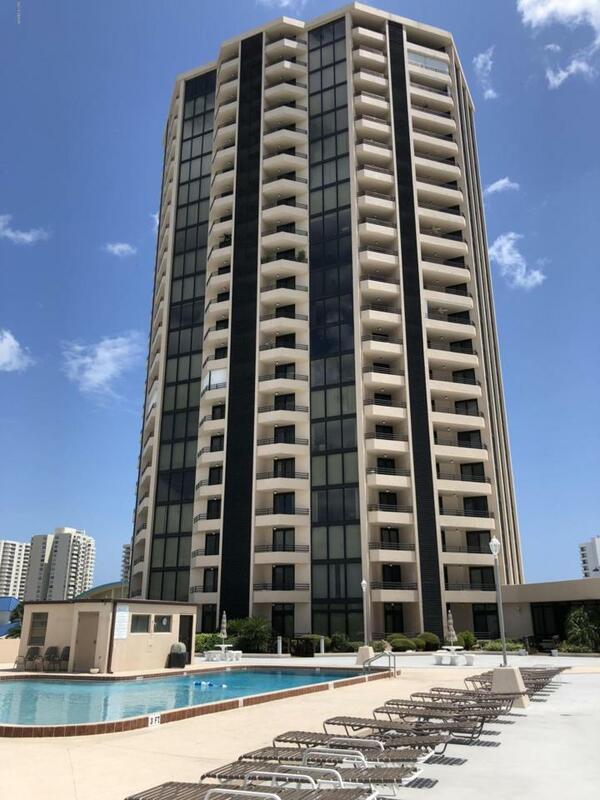 This 2 bedroom, 2 bath unit has updated plank-look tile, remote controlled shade/screens on the huge, floor to ceiling picture windows and hurricane shutters for peace of mind. Here is your chance to enjoy breathtaking views of the intracoastal waterway - panorama views from Dunlawton bridge on up towards Daytona...watch the boats go by, search for dolphins at play or watch pelicans dive into the water. Split bedroom plan, two large walk-in storage areas in addition to the bedroom closets. Two balconies give you unparalleled views that will take your breath away. Newer A/C (2015). Amenities at Oceans West include huge pool area with new sundeck, state of the art clay tennis courts,updated social room with full kitchen, billiard table, large screen TV, and ample tables and seating, ''his'' and ''hers'' saunas, changing rooms and showers, craft/woodworking room, gym, , library, climate controlled storage areas, and bike/motorcycle parking in addition to your reserved parking. Twice a week, there's even a car wash area to rinse the salt and sand from the beach! Don't forget the golf course right outside your door as well. Hard to find a well maintained, spacious condo in this price range offering the views and amenities such as this. This will not last so see it today! Listing courtesy of Anneli (Lee) Hartmann of Executive Realty Group Llc.